BMW 750LI 2009 V8- Full Option in perfect condition.GCC Specs, White color and Beige inside This car used on weekend only for a family car, just recently done a major service includes 4 new Tyre, New break Pads, New Battery, Enginee Oil and Filter for 10,000 KM, Gearbox Oil and Filter, Ignition Coil, Spark Plug, AC filters, Rear suspension, Front lower arm. This car not required any maintenance for a very long time, please call or WhatsApp if interested. 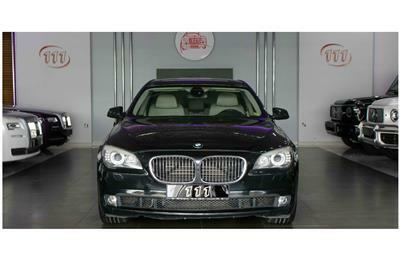 Hi, I am interested in your car - BMW 750LI 2009, GCC Specs, Full Option on Autozel Please let me know if it's still available. Thanks.